Rachel Bavidge was born in North Shields in Tyneside and moved to Oxford in her early teens. She has narrated numerous audio books and has just completed six months as a member of the BBC Radio Drama Company. Theatre credits include Mrs Boyle in Whose Life is it Anyway? 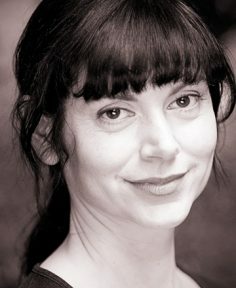 (West End) and Margaret in Much Ado (Theatre Royal, Bath) both directed by Peter Hall. TV includes The Bill, Casualty, Doctors, The IT Crowd, Inspector Lynley, Wire in the Blood, and Bad Girls.